Shot during the Tienanmen Square protests of 1989, this photograph from Stuart Magnum captures the eponymous Tank Man as he stands before a column of advancing Chinese tanks. While several versions of this photograph exist, Magnum’s had its own unique adventure thanks to Chinese censorship; in order to survive, the photo had to be smuggled out of the country by a French student in a box of a tea. 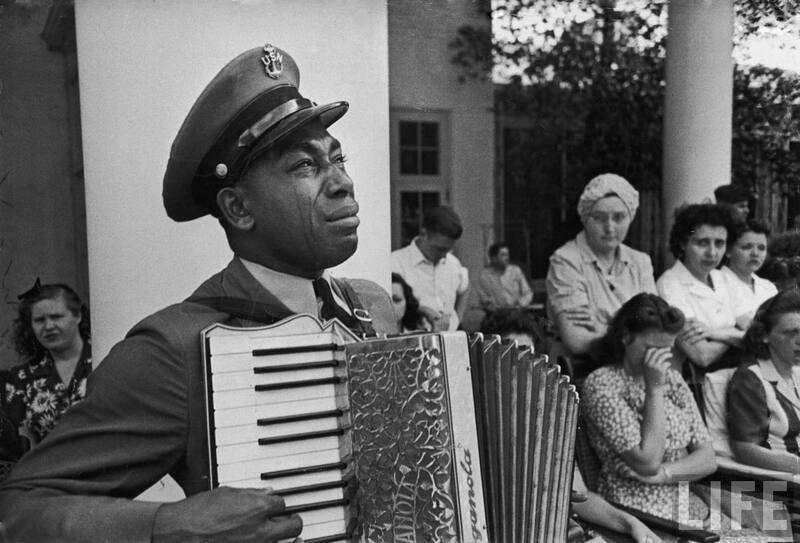 Shot the day after President Franklin D. Roosevelt’s death in 1945, the man captured in the photograph was Graham W. Jackson, Sr., a celebrated musician who frequently performed for the President and had been working with him to develop a version of the song “Going Home.” Jackson happened to be there the day Roosevelt died and played the song as Roosevelt’s funeral procession left. 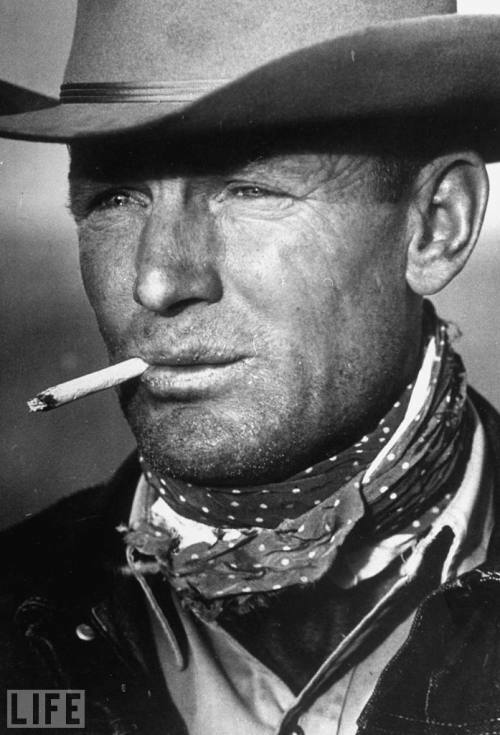 Taken in 1949 by Leonard McCombe, the Marlboro Man was originally just an image of a ranch hand in Texas named Clarence Long. The image of such a rugged and masculine man, however, quickly gained the attention of advertisement executives and thus inspired a series of advertisements for Marlboro cigarettes. Despite the popular ad campaign his photograph created, Long remained unaffected by the fame and lived out the rest of his life in Texas working on the ranch. This photograph captures the audience of Bwana Devil, the first feature length 3D film, as they watch the film at the Paramount Theater. While it made an impact at the time of its publication for showing the oddly uniform crowd riveted by the scene before them, it has come to represent for many the beginning of an era of fixation on the entertainment industry and special effects. During World War II, General MacArthur famously made a pledge that he would personally retake the beaches lost to the Japanese during the Philippine invasion in 1942. While he did indeed manage to accomplish his goal, some believe that this photo was actually taken months later at another beach as the General came to shore. Whether taken during the landing or not, this photograph came to embody the Allied victory in the Pacific during WWII.